First, you may have noticed that the blog has endured some sprucing up! The sidebar is streamlined, the My Books page is substantially more compact (and hopefully informative), and the My WiP page is updated with information about Singularity (my new series). I hope you’ll check out the new digs! All of this is in preparation for launching TWO books in the next week (hint: check out the My Books page for a sneak peek at Faery Swap, my middle grade fantasy). Subscribe to be notified when Third Daughter Releases! I’m so excited to finally have Third Daughter out in the wild! Next Friday, I’ll have a small (but hopefully fun!) launch party with Third-Daughter-themed prizes. I hope you will love reading the story as much as I loved writing it. If you can’t wait to read it, I’m giving away TEN e-ARCs (Advanced Reader Copies)! The ARCs will go out on Tuesday, so you will get it before it releases next Friday! If you would like to help out with the release, see the options below (in the Rafflecopter) to sign up to host it on your blog. And thank you! 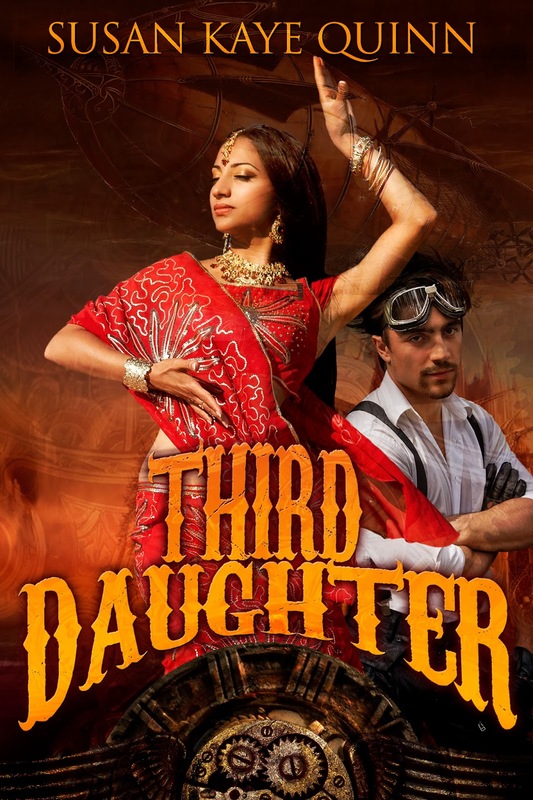 WIN THIRD DAUGHTER BEFORE IT RELEASES! Congrats on your new book! I've been anxiously awaiting this one. I'm excited for ANYTHING you write! EEP! Looking forward to this one! Congrats on the launch! Yay love your writing! Congrats!!!!!!! I'm so excited to read this one! Congrats! This is terrific news! Can't wait to be introduced to steam punk! I've been enjoying your intriguing pins for this series:) Can't wait to read it! Would love to help promote your launch, too:) Congrats!!!! I have been so looking forward to this book. Remember you working on for NaNo last year. Hooray! As much as I enjoy seeing the early stages of your work, I'm going to love reading something of yours for the very first time in its final and polished form. This sounds so cool. Congrats on the upcoming release! Sounds nifty – it's on my TBR! Congrats on your book. It sounds great. Can't tell though, is it YA, NA, or adult? You might want to clarify that in the blurb.